We are delighted that you have taken this first step in finding out more about volunteering with SVP. We hope to make the process as simple as possible, and we will follow and support your application every step of the way, both in London and in Khartoum. Whilst we are proudly independent, we work closely with the Ministry of Higher Education and Scientific Research in Khartoum, as well as the Embassy of Sudan in London, to reduce red tape and delays as much as possible. Christine Murphy, SVP Volunteer, 2011-2012. 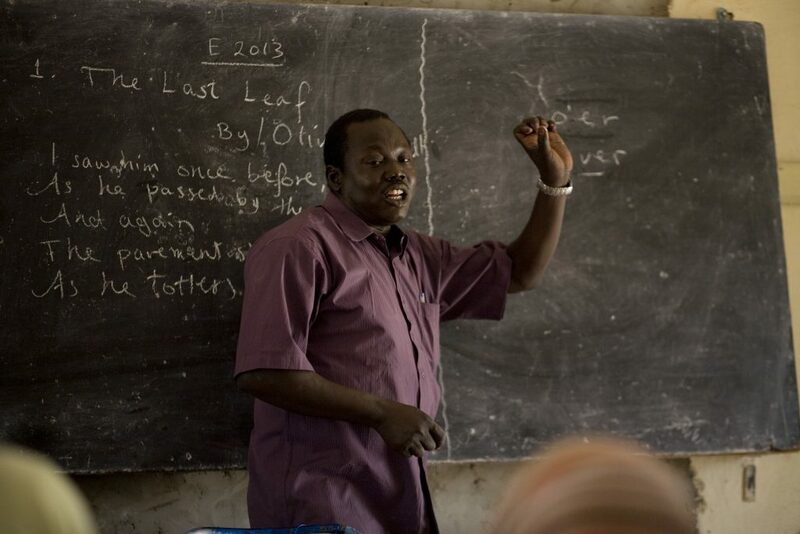 SVP volunteers teach English at public higher education institutions around Sudan. Most are given considerable freedom to choose what and how they teach. The typical volunteer teaches free or semi-structured discussion classes, more structured English communication classes or a combination of both. These are generally extra-curricular, and volunteers are expected to make their own lesson plans and select or prepare their own resources. Those with significant previous teaching experience may have the opportunity to teach full courses based on syllabuses or course books chosen by their institution, or even to train local English language teachers. Volunteers are contracted to work at their host institutions for 20-25 hours per week, of which two thirds are contact teaching hours and one third dedicated to lesson preparation and interacting with students and colleagues outside the classroom. Jamie Prentis, SVP Volunteer, 2015-2016. 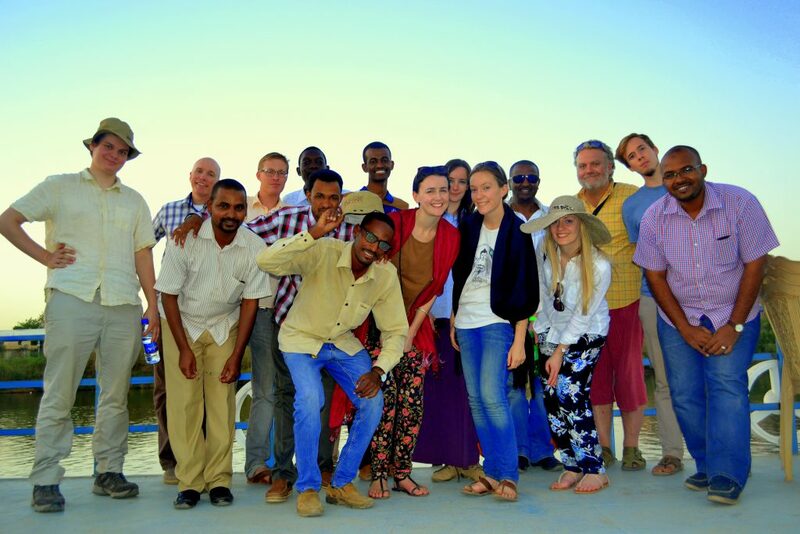 SVP gives you a wonderful chance to help ordinary local people whilst working in a friendly and safe location and learning about Sudan’s sophisticated and unique culture. Most young Sudanese have received over 8 years of English language training in primary and secondary school, but have never heard a native English speaker and have had few or no opportunities to develop the key skills needed for oral communication. Our volunteers promote communication in English amongst their students and to help them to improve their spoken language. Contrary to the common perception of Sudan as unsafe, SVP volunteers are welcomed and standards of personal security in Khartoum and in northern and eastern Sudan are high. Although parts of the country continue to be afflicted by violence, non-Sudanese are not permitted to go there, so the danger for our volunteers is non-existent in that regard. We can put you in contact with current or recent volunteers so that you can satisfy yourself and your family on this and any other points that may concern you. What does SVP look for in a volunteer? Are you a graduate or near-graduate in any discipline? Are you enthusiastic about the idea of teaching English? Are you resilient, resourceful, patient, good-humoured and culturally sensitive? Are you prepared to commit to at least six months in Sudan? Are you able to fund your own flights to and from Sudan? If the answer to all the above is ‘yes’, we would love to hear from you. All candidates will need to ask two referees to contact us and to pass medical and criminal records checks if their initial applications are successful. As well as your flights to and from Sudan, the medical check, criminal records check and any required inoculations will be at your own expense. We also ask you to pay £80 (or the equivalent in USD) upon arrival towards a comprehensive insurance plan that will cover you throughout your time in the country. SVP arranges your entry, residency and exit visas free of charge and organises your teaching placement. This will include accommodation and a monthly stipend payment, which will allow you to live simply but comfortably. Upon arrival, SVP will manage your orientation and arrange for you to speak to other teachers and observe their classes before you start teaching. Further information on SVP, the application procedure, the teaching placements we arrange and life in Sudan can be found in our FAQs. Don’t hesitate to contact us with any further questions you might have. The first step in applying is to complete our application form, which is available here along with our preparation guides. When we receive your completed application form, it will be passed on to SVP representatives in Khartoum for their response. Submitting the form does not commit you to accepting an invitation. Jessica Pratt, SVP Volunteer, 2011-2012.